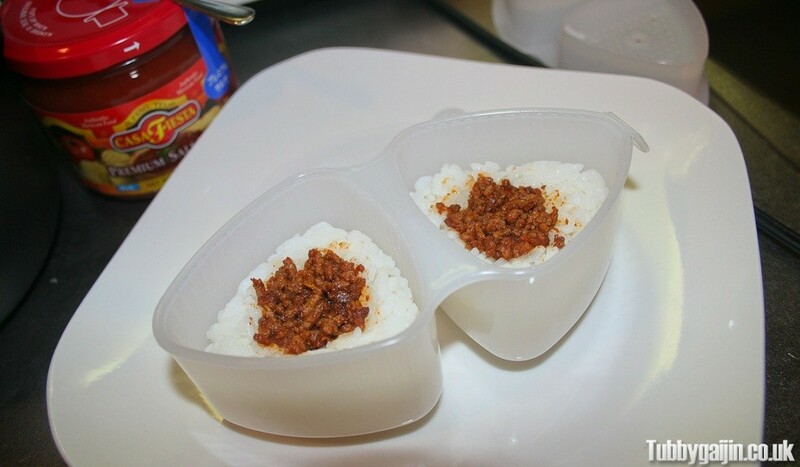 Tubbygaijin.com » Taco rice onigiri! A couple of months ago, I randomly decided to make red wine kakigori(shaved ice). Surprisingly, it turned out well! 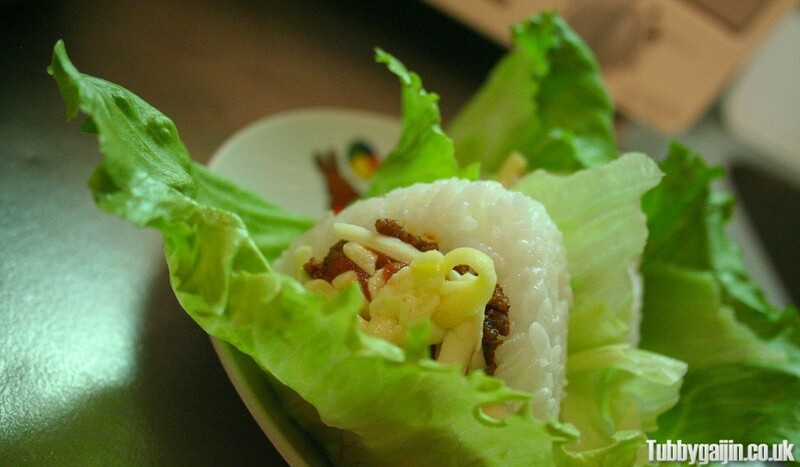 This success has set me down a weird path of experimentation with Japanese food, my next creation is a take on a popular dish from Okinawa… Taco rice onigiri! 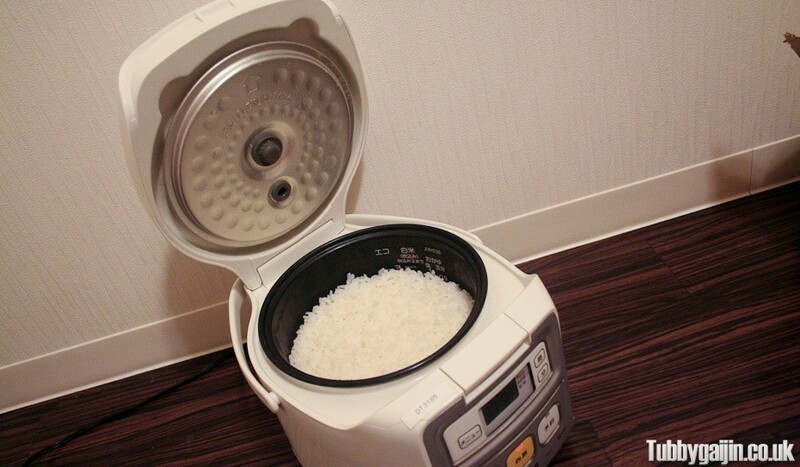 First step: cook up some rice in my trusty rice cooker! 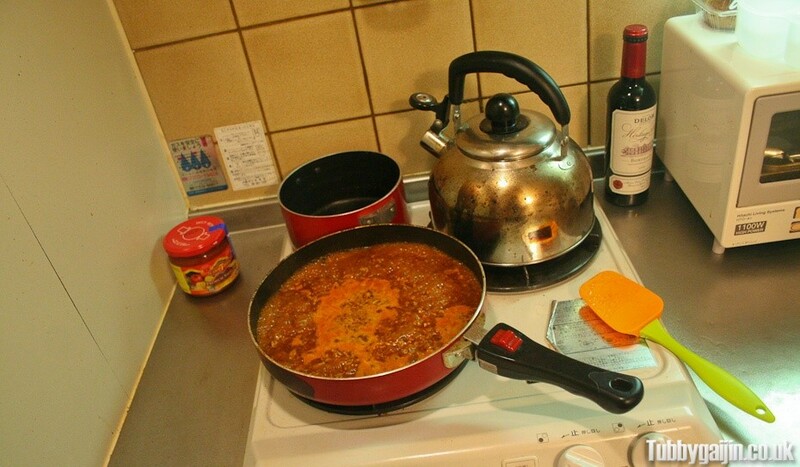 Next, time to make some taco mince! 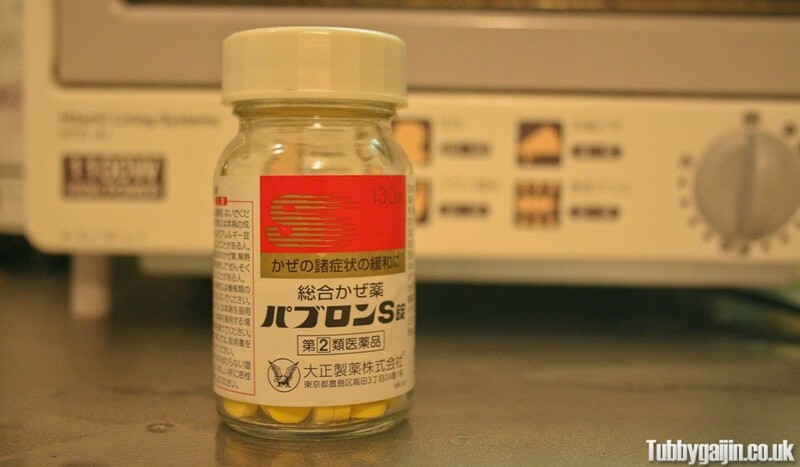 Today’s post is brought to you by Paburon, because I’m capable of catching a cold in August. 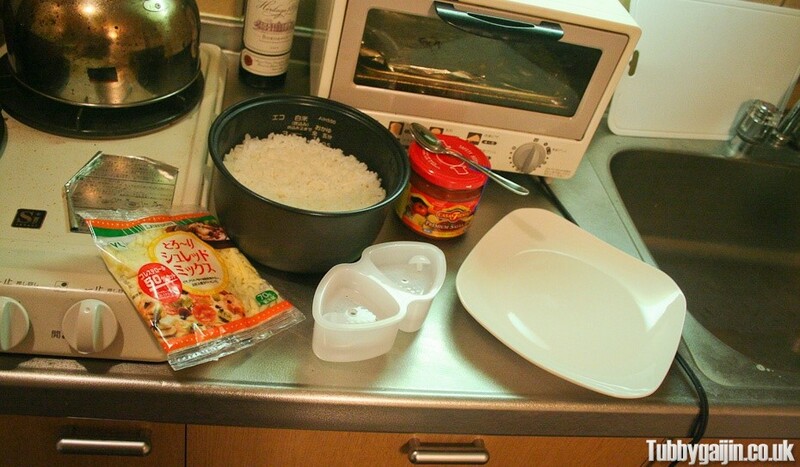 Now we’ve cooked everything, it’s time to put it all together. 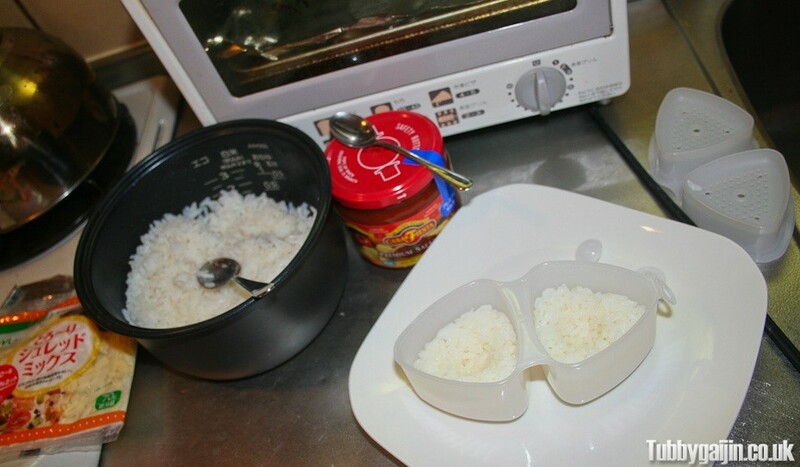 Shaping the rice and creating a little hole to fill with mince. Mince in! Then I topped with salsa and cheese. 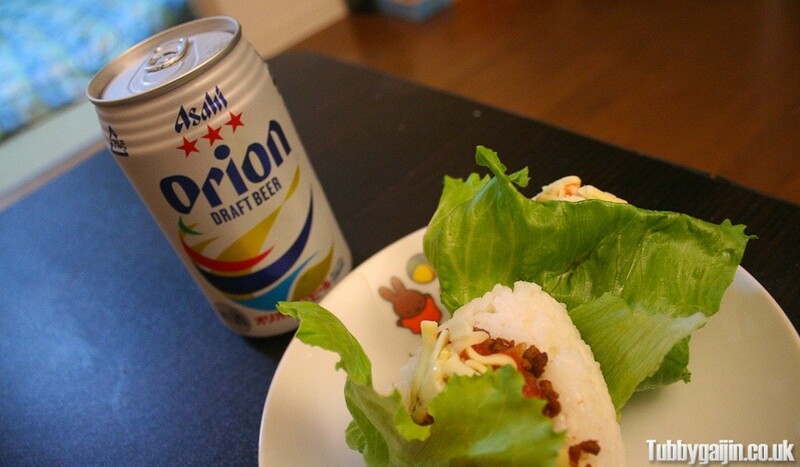 Finally, instead of seaweed, wrap in a piece of lettuce and enjoy with a can of Orion(or your beer of choice) 🙂 Delicious!